Vai! Il piccolo principe one last big win before you retire after my beloved Il Giro. Of the three events so far, UAE have entered precisely zero of them. looks like a good course for Androni to extend that lead. Torres hasn't raced for 6 weeks though, missed Coppi e Bartalai due to an injury and just returned form Colombia, so no idea where he stands. Did someone say lantern jaw? 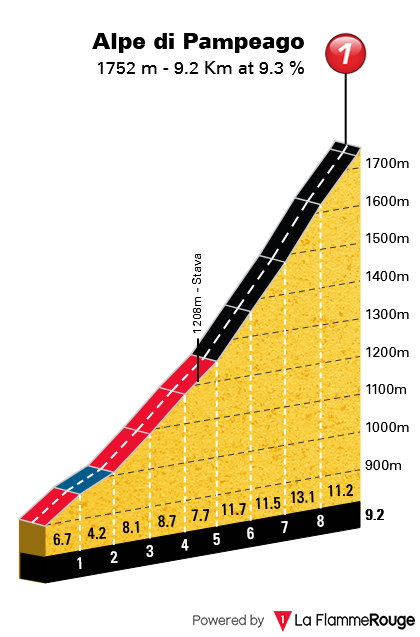 no chance to beat more of those 5 Astana in the ~15 man front group though. It's not as if they need to win the Ciclismo Cup to get a Giro invite. But I agree that it's odd to go to the trouble of entering the thing and then not race it for the first months. I guess their new leaders - Kristoff, Martin, Aru - wanted a less Italy-focused calendar, and they had no riders to spare for those races? Don't think I'm ready to watch MTFs again yet with the Classics still rumbling on. Most of the contenders here leave me cold. It's been a turquoise week though that's for sure. no no, it's Gianni's birthday week, he turned 70 yesterday. Sosa in the lead! Yeah, saw him there at the finish chinwagging with Fondriest, the old duffer. And the Silver Fox is sly: he has hit upon the perfect strategy for topping up his team budget, finding and selling on these super talents. He takes all the risks though, I suppose, bringing these kids over from LatAm, so it's only fair that he gets to cash in a bit. I’m the complete opposite. I find the classics pretty dull. Roll on the proper stage racing. Pinot will be looking forward to all the descending. 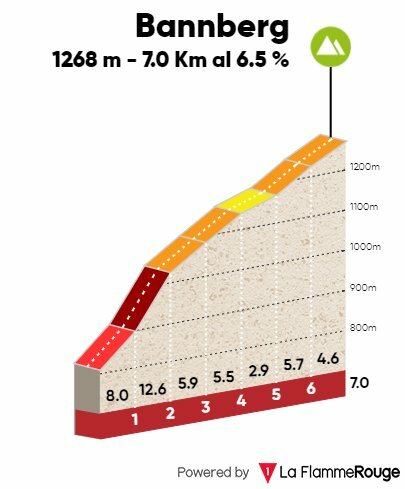 well, not quite a "couple of days" - Androni was destroyed on the first climb already, when Pinot, Pozzovivo and O'Connor attacked on the Mendelpass . Unfortunately Sosa crashed on the final descent and lost 4 minutes. Also Lopez lost a bit of time, getting dropped on the flat after working for Lulu in the finale - which was a bit odd to see. I must admit that I had never heard about O'Connor before Catalunya, but that was really some strong showing here over the past couple of days, and especially today. 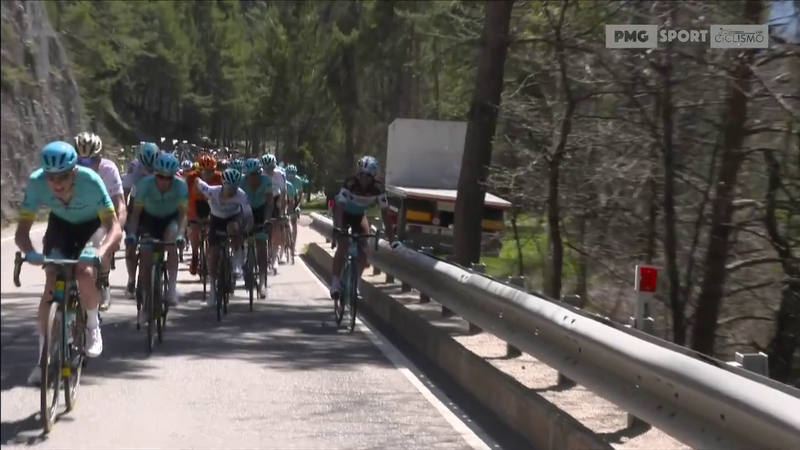 Another guy who deserves a mention is Michal Schlegel, one of the very few (together with Lulu, Bennett and Geniez) managing to hang on when Froome and Lopez put the hammer down on the climb. I'd heard of O'Connor but I didn't think he was particularly brilliant. Shoot me now but does seem to carry a bit of dead wood. Turns out he just didn't have much racing experience when he turned pro: I think sometimes that sort of thing can be underestimated. You're right about Schlegel. He was one of those Klein Constantia graduates who didn't get a big deal but he was one of their better performers and that is quite something because that team had Axeon levels of talent. Sad that the team has gone, especially when you think who came through it. Hard to see Pozzovivo or Lopez taken time from Pinot on a stage like this. Sky may give it a go and keep things together for Froome - if not, it's more likely to be a day for a successful breakaway, I guess. Lopez dropping was a weird one. He did all the work for a long time to stay there, and dropped off the pace right at the end to lose a few seconds. 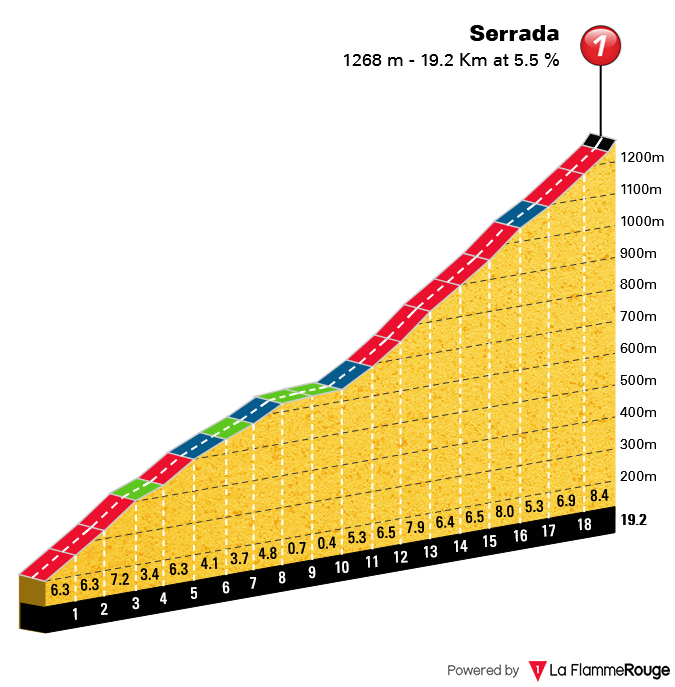 he attacked on the climb to Anras back then (also a stage finish in 2016, won by Landa) which is also on schedule today with ~30k to go. To my surprise it's not categorized, although it has a stretch of 2km at 10% average. Montaguti - the guy who's rarely worse than 30th, but hardly ever better than 15th. good stage again today. 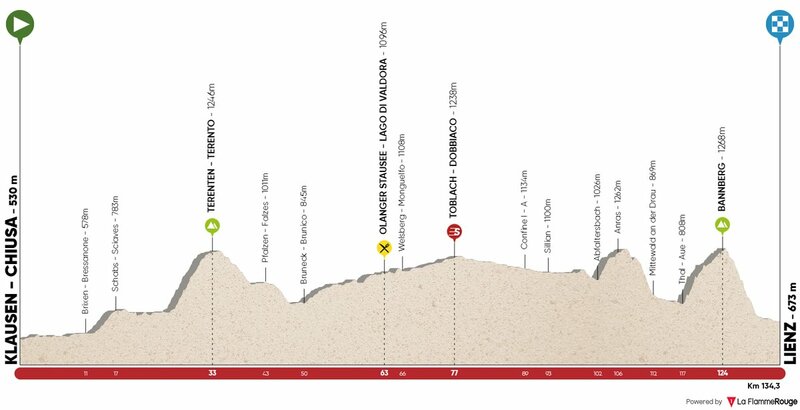 Mikel Bizkarra tried the Stefano Garzelli memorial move (after liking my tweet mentioning the point of attack before the start of the stage ) but unfortunately was brought back pretty quickly. Tomorrow the race heads to Innsbruck for a first visit to the 2018 World Championships course. Should be fun again, and Pinot's jersey isn't sealed yet. Sure as heck some racing going on! I'm getting depressed though, as Froome is actually looking quite strong. 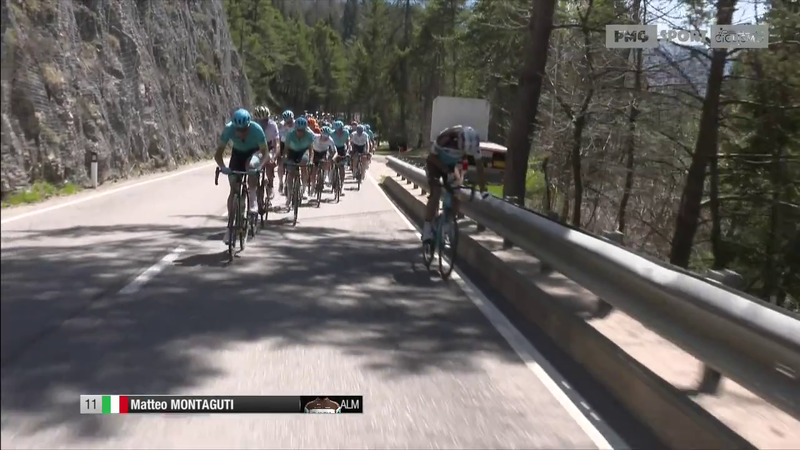 Aru, I think, is not going to be on the Giro podium. Froome will be. Astana putting in some surprising performances. Pinot showing his courage, but I'll be a bit surprised if he ends up on the Giro podium. Still - great racing today - really competing with each other.